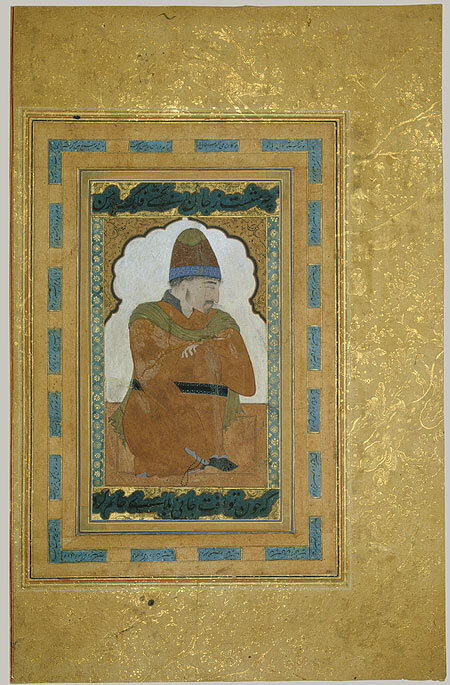 Materials and Techniques: ink, opaque watercolor, and gold on paper; margins: gold on dyed paper. Size of the page: 15 3/4 x 10 1/4 in. (40 x 26 cm). Kept in Metropolitan Museum of Art, New York.